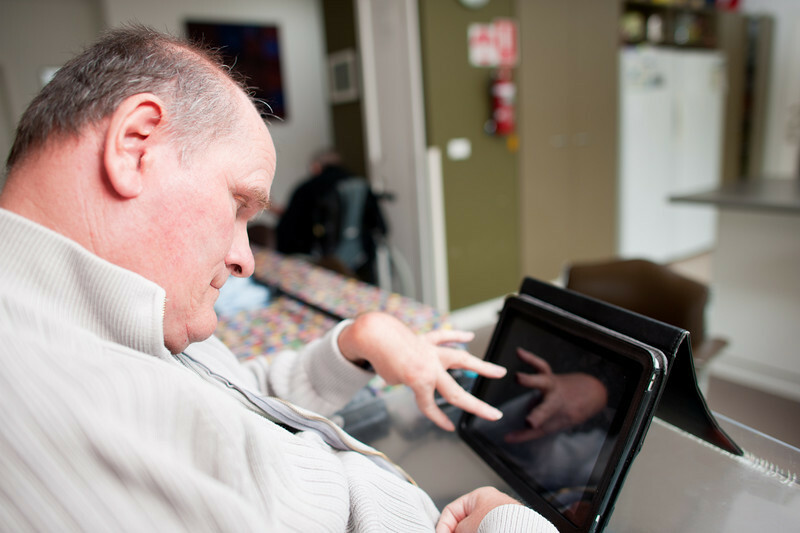 Mature aged man with a disability operating touchscreen computer. The reflection of his hand can be seen on the screen. He is seated in his living room.